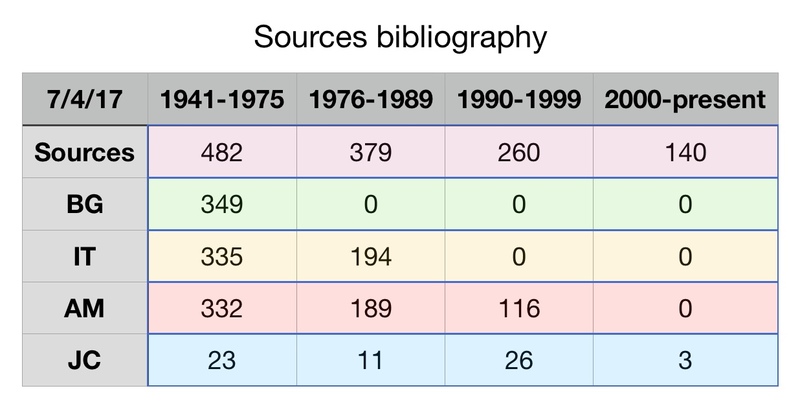 The four major previous bibliographies of Torrance sources are listed below, in chronological order, along with key features. The editors have cross-checked and verified references from these four bibliographies, and gratefully acknowledge and thank their creators for their work. Although there is much overlap, and in some cases almost verbatim repetition of annotations attributable to TFT himself, each of these bibliographies contains information not found in the others. All four were of great value to the creation of the T. F. Torrance Theological Fellowship Sources bibliography (described last; based on direct independent verification). If we think of the bibliographic project as a layer cake, then the first major bibliography forms a delicious bottom layer. * Scope: Thomas F. Torrance. * Includes some chapter references when reprints. * Includes some items omitted by 1990-IRT and 1999-AM-1e. * Includes edited series (e.g., Scottish Journal of Theology). * Includes some items privately circulated. * Citation: Bryan Gray, "Bibliography of the Published Writings of Thomas F. Torrance (1941-75)," in Creation, Christ, and Culture: Studies in Honour of T. F. Torrance, ed. Richard W. A. McKinney (Edinburgh: Clark, 1976), 307-321; #1976-BG. The bibliographies by Iain Torrance and Alister McGrath comprise the rich middle and tasty upper layers. * Based upon a bibliography created and maintained by Thomas F. Torrance (a source shared in common with Alister McGrath). * TFT's unpublished papers are now at Princeton, and may be consulted there: Manuscript Guide, The Thomas F. Torrance Manuscript Collection; Special Collections, Princeton Theological Seminary Library (W-TFT-1). * Citation: Iain R. Torrance, "A Bibliography of the Writings of Thomas F. Torrance, 1941-1989," Scottish Journal of Theology 43 (1990): 225-262; #1990-IRT. * Based upon a bibliography created and maintained by Thomas F. Torrance (a source shared in common with Iain Torrance). 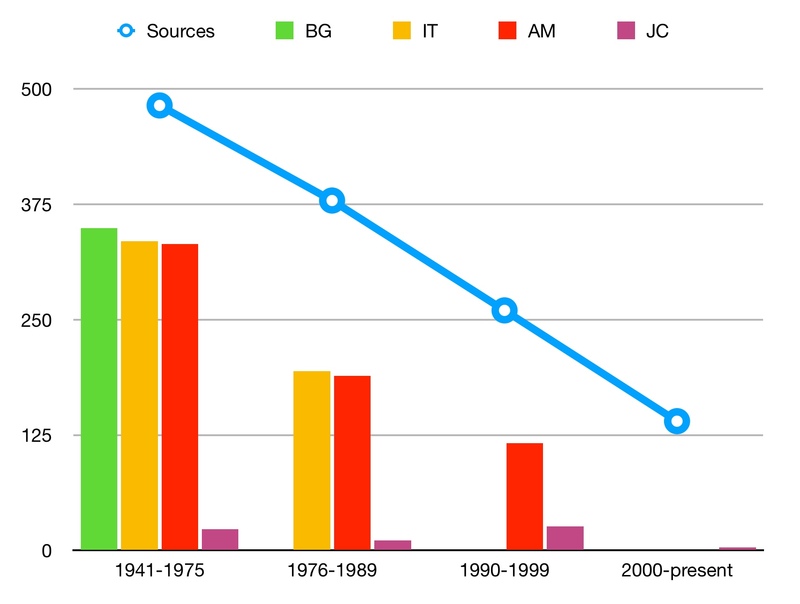 * New contributions extended the range of 1990-IRT another 10 years, bringing the bibliography up to 1999. * McGrath's bibliography was a joint project with input from TFT: Alister writes, "TFT and I developed the bibliography together." * Implemented numbered entries, so that a numerical ID unambiguously designates every publication. * Citation: Alister E. McGrath, "A Complete Bibliography of the Writings of Thomas F. Torrance, 1941-," in T. F. Torrance: An Intellectual Biography (Edinburgh: T & T Clark, 1999), 249-296; #1999-AEM-1e. The bibliography by James Chaousis adds a special layer devoted to the works of James B. Torrance. If the first three layers are various flavors of chocolate, the Chaousis layer adds a raspberry counterpoint. * Scope: James B. Torrance. * Citation: James Chaousis, "Works by James B. Torrance" (2004); #2004-JC, www.tftorrance.org/works-jamestorrance.php. * Scope: Thomas F. Torrance, James B. Torrance, David W. Torrance. -- Includes biographical and bibliographical sources. * New entries since 1999 include: posthumous reprints and publications. -- Additional reprints (if different publishers not noted on same title page). -- Chapter entries for every title in its first printed (or first verified) edition, to facilitate publication life-cycle cross-references, notes and tags. -- A few extra items missed by previous bibliographers, discovered through searching digital databases (such as ATLA). * Incorporates original McGrath numbers (unchanged) in a revised and open-ended numbering scheme. * Attribution via tagging to the above-mentioned bibliographies. * Direct independent verification (via print or digital copies). * PDF library (open access pdfs only). * Structured data (fields, tags). * Related Publications field for tracking publication cycle of works. * Notes field for indicating the setting of any publication. * Downloadable files for bibliography software. * Pre-formatted references in custom footnote and bibliography fields. -- Will be maintained and updated with input from members of the T. F. Torrance Theological Fellowship. -- Will be deployed in a database-driven website to support an interactive community of scholars. -- Will be coordinated with and cross-referenced to the Torrance Studies bibliography. -- Will support future visualization and data analysis (e.g. 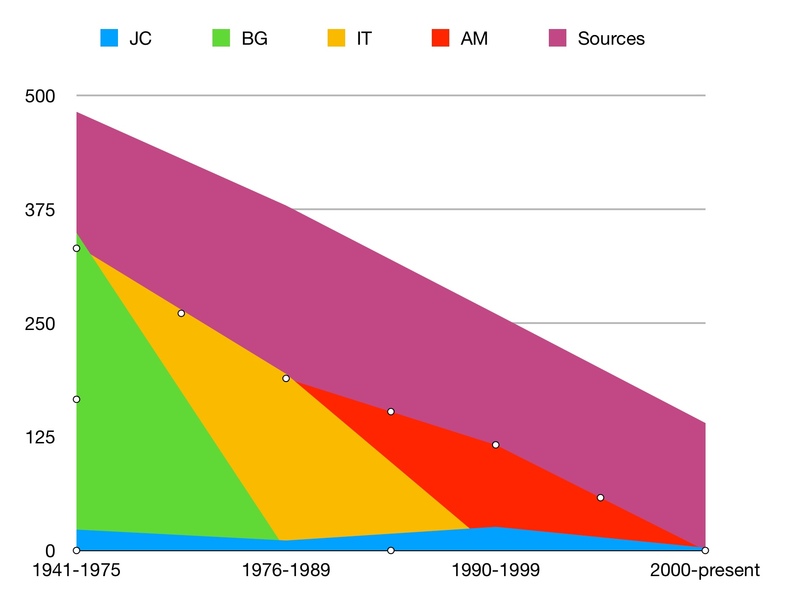 global distribution or trends of editions). All data on this page is preliminary and will be updated annually. See the Sources bibliography for additional bibliographies.